Am I the only one here or does it also hurt your soul a little knowing it starts to get dark at 6pm in Melbourne this time of year? Come winter time, I'm going to work in the dark and headed home in the dark. It's slightly depressing. It makes it incredibly hard to get out and explore. 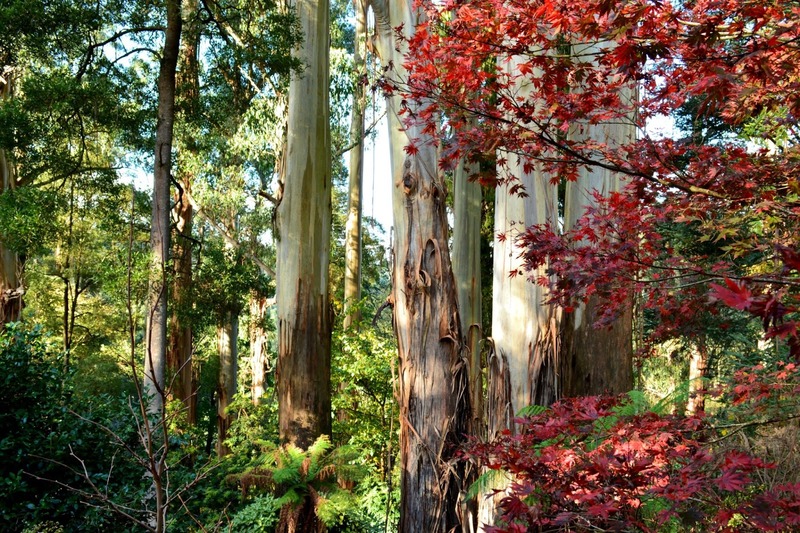 Just an hour and a half drive from Melbourne's CBD lies the answer to this problem. Steavenson Falls has a lit pathway and stays open until 11pm. It is the perfect answer to anyone who is wanting to get out and explore but doesn't have the time to visit during daylight hours. There are a few short, well-lit paths that lead you to the falls. It may seem a little creepy to go hiking in the dark but bring a friend or a pup, and you'll be set. The Alfred Gardens are gorgeous any time of the year, but they're even more beautiful during autumn. 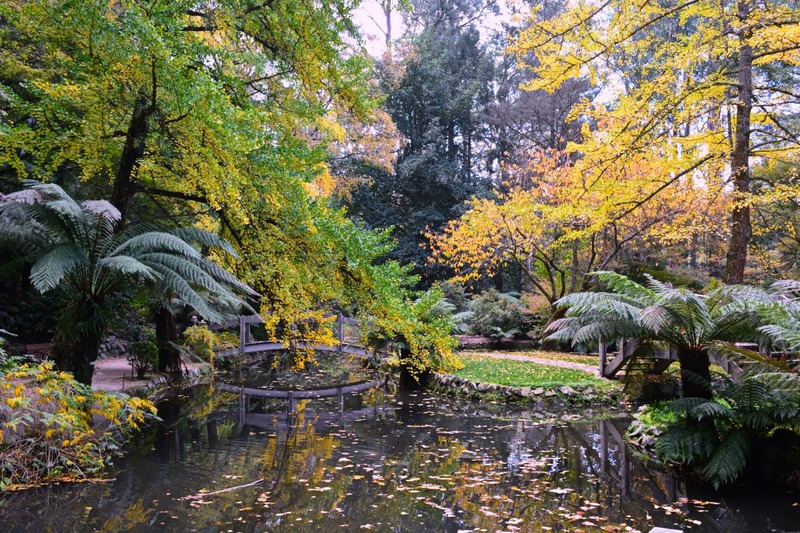 The mix of colours next to the evergreen trees makes the Alfred Nicholas Gardens a relaxing getaway. Pack a picnic lunch and sit next to the waters taking in the breathtaking scenery or go on one of the many hiking paths surrounding the gardens. Either way, you won't be disappointed you stopped here. Cold weather tends to make people want to stay home and cuddle on the couch. But this is one of the best times to wine taste! Not only will the vineyards be gorgeous with the changing colours but its also around the time that all the new vintages come out. Take the opportunity to try some of Victoria's impressive wines whilst enjoying the gentle breeze of a cool autumns day! It definitely tops wine tasting on a bloody hot day where it feels like your skin is melting off. Because...why not!?! Melbourne has so many cool bars and pubs to visit. Are you a Game of Thrones fan? Be sure to check out Game of Rhones. Rumour has it, this will be the last year it is open. Wanting to experience the cold, go to the Ice Bar and pretend you're North of the Wall. Love Harry Potter? There's an awesome Harry Potter themed pop up bar that will be a staple in the CBD until December. If you can't afford to check out The Cursed Child, at least you can submerg yourself in the Harry Potter universe. Obviously with the change in the seasons comes the most amazing sport to ever be created in Australia. For more about this amazing sport and why it should consume your autumn/winter, be sure to read Why I'm Basically Obsessed with Footy. 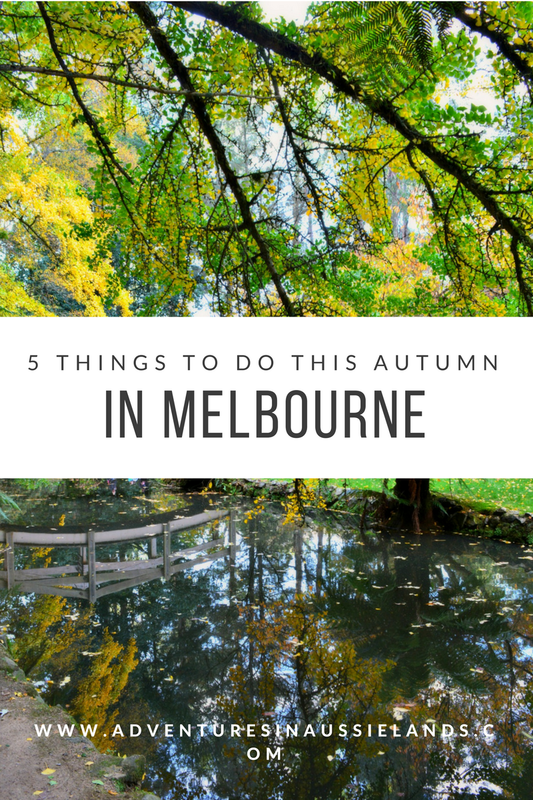 These are some of my favourite things to do during the autumn season. Have I missed any of your favourites? Share your favourite autumn activities in the comments below! wow! you are writing an adventurous blog, I really enjoyed reading :) Keep it up! i NEED to get out there ha this is so fun and love all the great ideas you have! Thank you! It can often be hard to find fun and exciting things to do during autumn. Those sound amazing! I have never been to Australia but I want to so badly! Great read! Definitely visit if you ever get the chance! This looks so beautiful! I can't wait to visit Australia one day... it's #1 on my bucket list! I really hope you get to visit soon! If I ever get to Melbourne I will definitely dig this up and check out the tips! I already pinned it. Thank you! Please do visit sometime! So many great things!! I've never been to Melbourne but have always wanted to visit. But I'll definitely be sure to visit a pop-up hot tub cinema when I do visit! That sounds amazing! It's perfect especially on cool autumn days! Me either. I'm dreading winter and autumn. Luckily Melbourne has been behaving the past few days and still clinging to summer. I loved Perth when I visited. I need to visit again soon! I visited Steavenson Falls last Winter and it was awesome! My boyfriend and I went away for the weekend to the snow and the falls were actually an unplanned thing for us to see, but I'm so glad we did! They were beautiful. I was so amazed with Steavenson Falls. I loved that they had the lights so it didn't matter what time of day you went. It helped me stay a bit more active when there wasn't as much daylight.